It's Friday once again and it is time for me to share with you the music of Project Diva. Today I am going to introduce "Strobe Nights" in Project Diva. 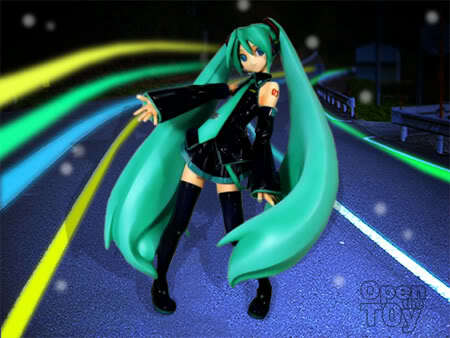 The impression I have for "Strobe Nights" (ストロボナイツ) in project Diva was Miku dancing and hopping in the middle of a night road. I love the way she break it in the dance in the middle of the chorus. 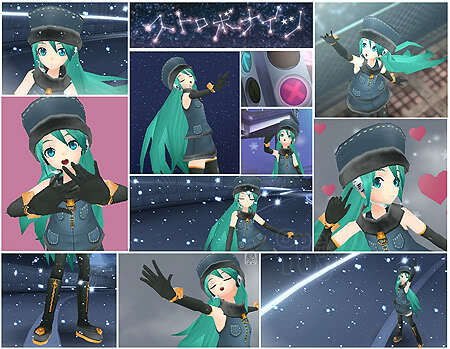 Here's some shots of Miku in full costume for this song. The suit look a bit Russian to me. Maybe it's the hat but Miku look Kawaii (Cute) in it! even though its pretty old, its still a very nice track! Full Version's even better. Nice lovely sound. Going to look for the mp3 now! Hee! Hee!